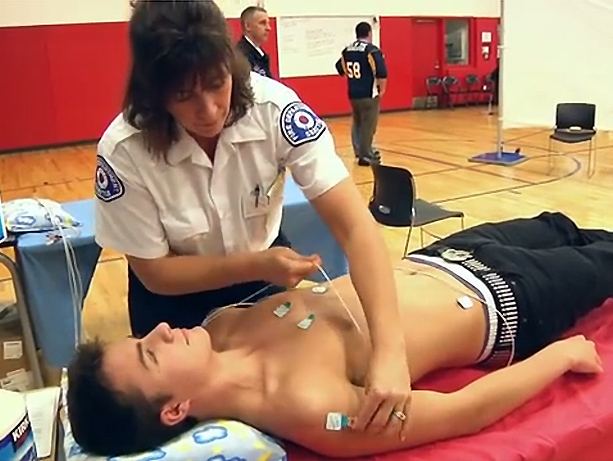 Current health-screening recommendations for student athletes comprise an oral history and physical exam, but these indicators are not as effective as an electrocardiogram (ECG) at detecting students at higher risk for sudden cardiac arrest, suggests research led by the University of Washington. The oral history and physical exams result in a higher false-positive and lower true-positive rates than tests that involved an ECG, a test of the heart's electrical activity. The research was led by Dr. Jordan Prutkin, an assistant professor of cardiology at UW's School of Medicine.